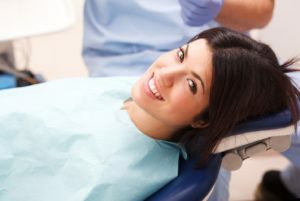 Did you know that your dentist is in a unique position to protect your overall health as well as your oral health? One way he does this is by checking for oral cancer during your routine dental exam. Fortunately, about 84 percent of oral cancer cases can be detected by your dentist, so it’s just another reason why you shouldn’t ever skip your appointments. 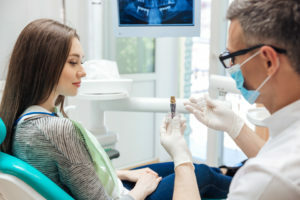 In today’s post, your dentist in Beaumont explains why oral cancer screenings are so important and what you can do to protect yourself in between visits. In the past, the only solution for replacing teeth was dentures. While this solution looked good enough for most people, it often came with many downsides. Not only would they not last for more than 5 years on average, but they weren’t foolproof. 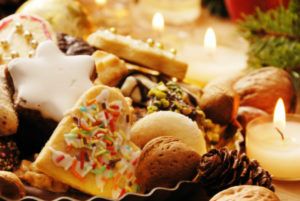 Tasks like eating and talking could still be difficult, especially once they got close to needing replacement. Plus, you’d need to take on more routine maintenance to make them last. 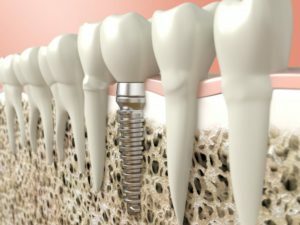 If you’re considering replacements for teeth, such as dental implants in Beaumont, your dentist thinks you should keep these facts in mind. Did you know that the human heart beats an estimated 3.4 billion times in an 80-year lifespan? Pretty amazing, right?! 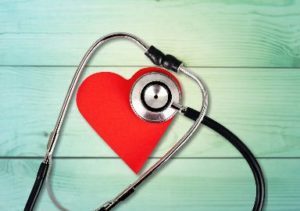 In honor of your hard-working heart (and since February is National Heart Month) we wanted to talk about a surprising way to keep it healthy: take great care of your gums. You may not have known about this surprising link, but today your dentist in Beaumont will discuss how the two are related and what you can do to make sure your gums are happy. After all, since your heart works so hard to give you a long, healthy life it just makes sense to return the favor and help it along a little bit! Some of the best goals are the simplest. This is because the greater aspirations that many people shoot for cannot be attained without taking care of their day-to-day responsibilities. After all, they are essential for sustaining a balanced state. An example of a stable foundation that must be established before any other fruits of life can be enjoyed, is oral health. 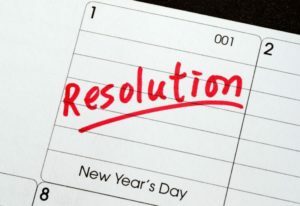 Therefore, your dentist in Beaumont recommends that you consider taking the simple approach to achieving your large goals by starting with something small and practical: dedicating yourself to excellent oral care in the new year. As you continue reading, you’ll learn more about ways to make this happen and how preventive dentistry can help out. Have you noticed that when you’re talking to someone, he or she tends to back up a step or two? That may be because you have bad breath. 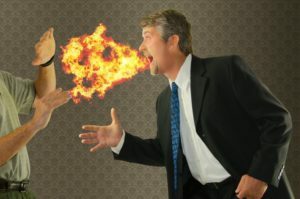 But if you find yourself in this situation, don’t feel alone because studies show that 35-45% of people in the world suffer from some level of halitosis. Thankfully, this doesn’t have to be a finality for you. 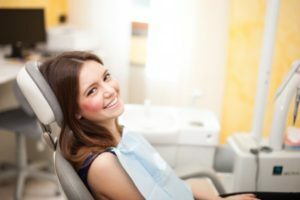 Learn from your dentist in Beaumont what causes bad breath and how you can overcome it with the aid of better oral hygiene, food choices and general dentistry. Teeth are incredibly durable, but they’re not invincible. 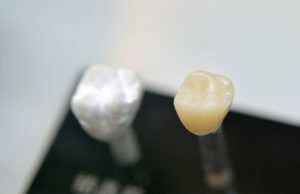 Thanks to accidents or everyday wear and tear, your teeth might get worn or damaged. 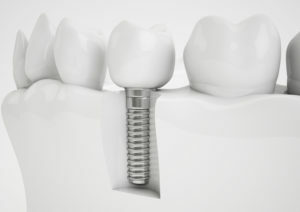 Dental crowns are a great way to give strength back to teeth and help them to once again function as a healthy part of your mouth. What are some common reasons why a dentist in Beaumont may need to install a dental crown?